The wireless digital data link system consists of a Digital Transmitter with internal remote controlled receiver and a Receiver with internal remote controlled Transmitter. 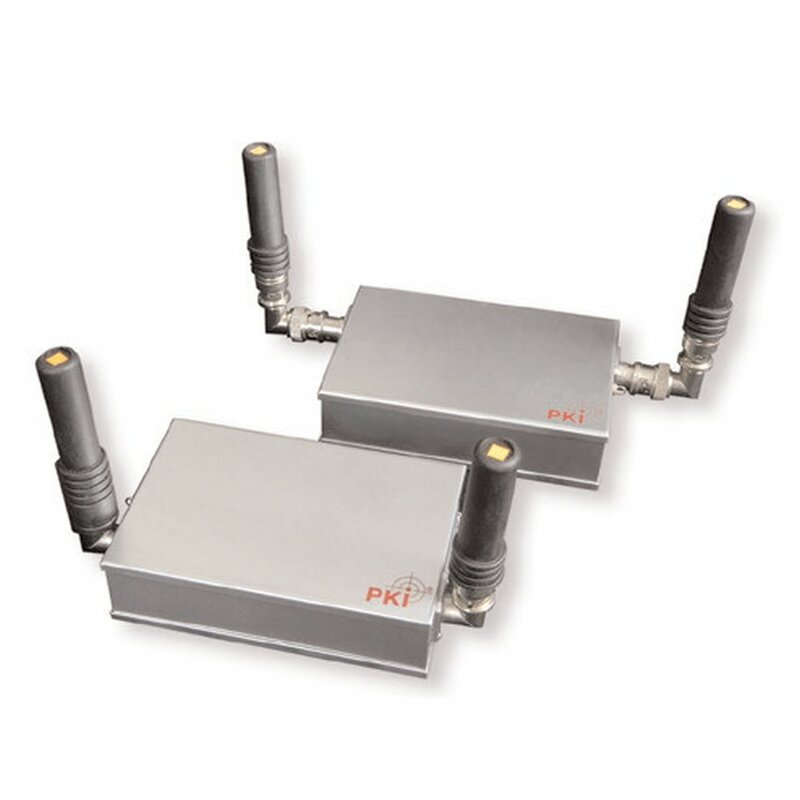 The PKI 2430 wireless digital data link is based on USB 2.0 full speed interface. The transmitter is connected to the PKI 2425 audio recorder to read out data and to transmit it error-free and encrypted to the PKI 2420 Receiver, which is connected to any PC or Notebook. Operation of the system is controlled either by pre-programmed time periods or directly remote controlled by software. RF Power 1 W max. RC Transmitter: 1 W max.